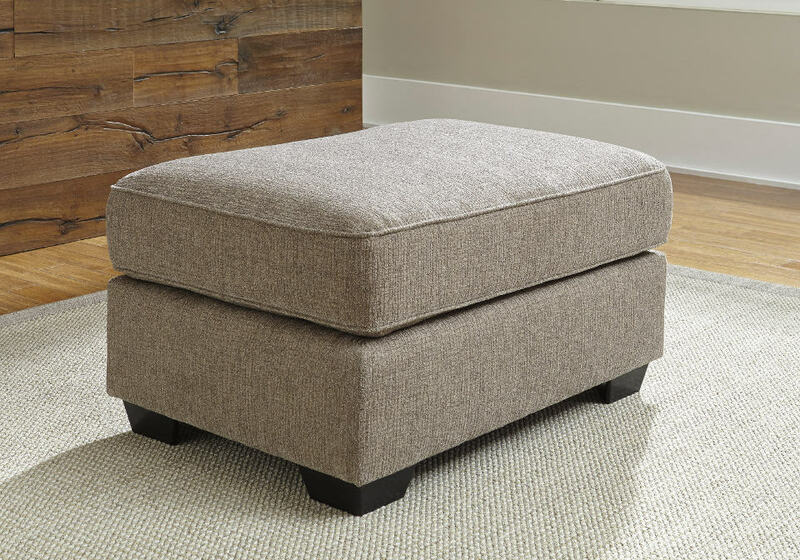 The Pantomine oversized ottoman speaks to those drawn to fresh, contemporary style with richly neutral appeal. Oversized scale invites everyone to kick up their heels in comfort. Subtle and sophisticated, the designer upholstery with a chic Greek Key pattern translates beautifully. Other items pictured in the image are sold separately. Frame constructions have been rigorously tested to simulate the home and transportation environments for improved durability. Corners are glued, blocked and stapled. Stripes and patterns are match cut. All fabrics are pre-approved for wearability and durability against AHFA standards. Cushion cores are constructed of low melt fiber wrapped over foam.